As the weather is getting cooler, I’m getting back into baking mode. In the past week, I made this gluten-free Sweet Potato Pecan Pie and a Banana Chocolate Chip Crumble Coffee Cake. 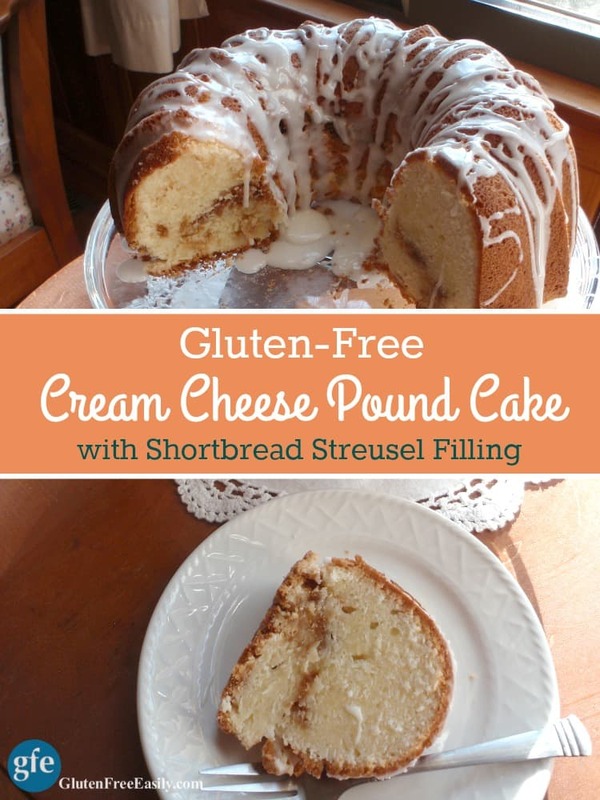 Oh my, we’ve been enjoying some pure gluten-free deliciousness here of late! I hope to share the recipe for the Banana Chocolate Chip Crumble Coffee Cake and my review of the new book it comes from next week. But today it’s all about this fantastic gluten-free Sweet Potato Pecan Pie! Goodness, we love pie at our house! While some families flip over cakes and we do occasionally do cakes (especially for birthdays), pies are our thing. Sometimes at Thanksgiving, we’ll have six pies on the sideboard! We don’t actually eat a slice of every pie after our Thanksgiving meal. Doing that would be very uncomfortable—and pretty much impossible to be honest—because of all the good and filling food we’ve already enjoyed during our meal. We might eat quarter slices, half slices, and everyone gets more pie in “to go” containers. Everyone has their all-time favorite pie. Then their second favorite. Then probably others that are not in their “top two” list but that they still enjoy. With this pie—especially if you love Sweet Potato Pie and Pecan Pie—you get a two-for-one deal! No need to choose Sweet Potato Pie or Pecan Pie. Or both and then have to cry “enough” and stop eating pie. Gosh, how sad would that be? We don’t want that! 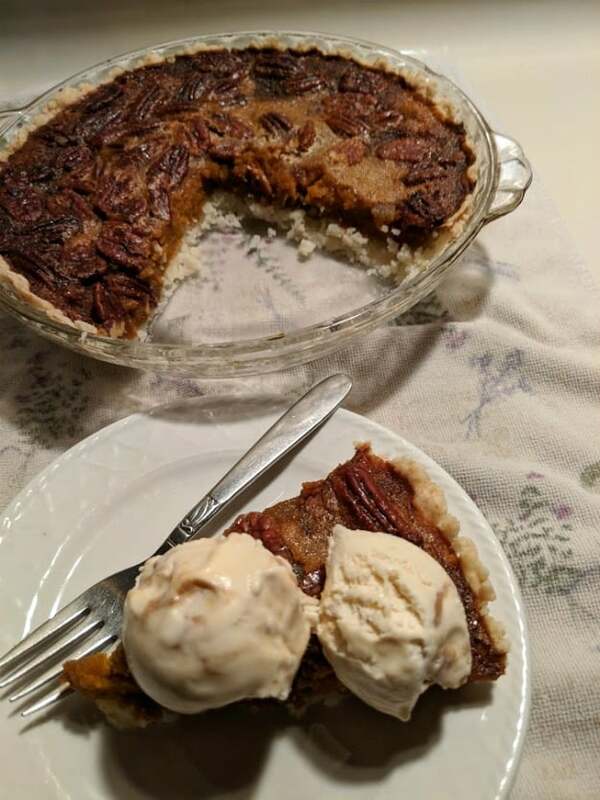 You can have a slice (or partial slice) of this gluten-free Sweet Potato Pecan Pie and still have room to try other pies on your holiday table. I love that! Don’t you? By the way, I gave my mom two slices of this pie, thinking she’s enjoy one slice herself and give the other slice to my aunt who is gluten free. But Mom confessed later that she ate both slices! Believe me, I get it. I also consider her inability to resist the second slice to be high praise. Very high praise indeed! 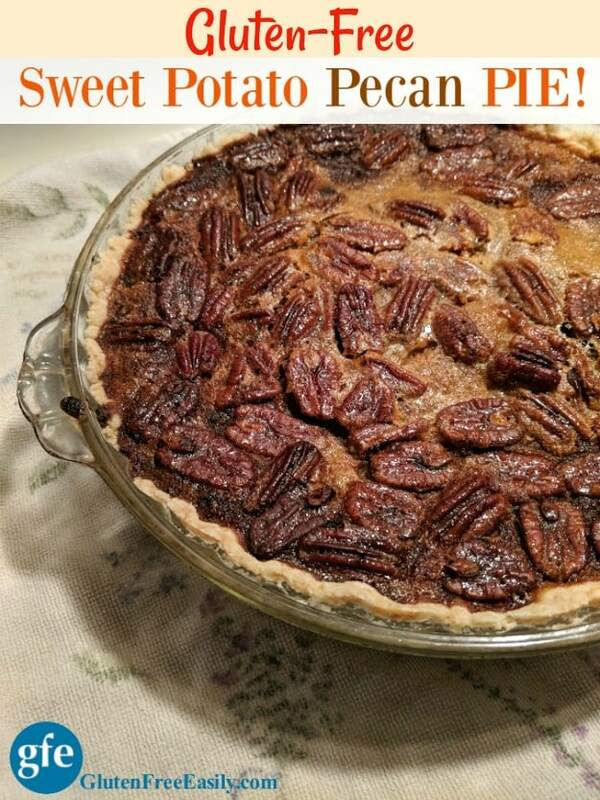 With this pie---especially if you love both Sweet Potato Pie and Pecan Pie—you get a two-for-one deal! No need to choose Sweet Potato Pie or Pecan Pie. Or both and then have to cry “enough” and stop eating pie. No need at all! In a medium-sized bowl, slightly beat one egg. Add mashed sweet potato, 1/3 cup granulated sugar, and pumpkin pie spice. Mix well. Pour mixture into an unbaked gluten-free pie crust (like this one) and smooth out with a spatula. Beat remaining two eggs in small bowl. In same medium-sized bowl which you just emptied, add eggs, honey, ½ cup granulated sugar, butter, and vanilla extract. Mix well. Stir in pecans. Spoon over sweet potato mixture. Spread and smooth out with a spatula so that pecans are evenly disbursed. 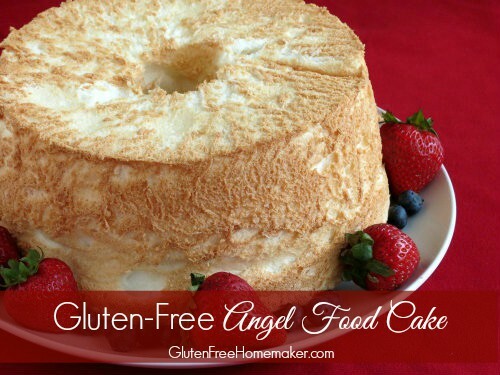 Top with ice cream or whipped cream (store bought or homemade), if desired. 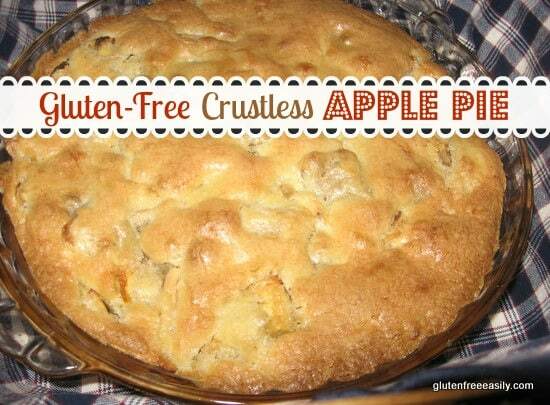 While I love making pies crustless, this recipe requires a crust. I like to use my Never Fail No-Roll Press-In Pie Crust. If you would like to make this recipe refined sugar free, coconut sugar may be substituted for the granulated sugar. Using chopped pecans (instead of pecan halves) in this pie makes cutting pie slices easier and cleaner and hence, the pie presentation prettier, in my opinion. Recipe adapted from this gluten-free Pumpkin Pecan Pie recipe. Shirley your pie looks scrumptious! And yes…definitely the best of both worlds – so perfect with pecans. 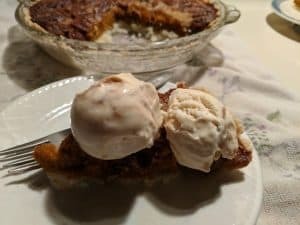 Shirley, I’ve been staying away from baking lately, but since pumpkin and pecan pies are both favorites of mine (and my husband) I will definitely be trying this soon, maybe for Thanksgiving. I use an almond flour/arrowroot blend which makes a nice flaky Paleo crust and I’ll use maple syrup and coconut sugar for the sweeteners. It sounds wonderful! I don’t dare make it now (without others to help us eat it) or we would eat the whole thing ourselves! Nancy–You said “pumpkin and pecan” vs “sweet potato and pecan” so I guess you’re making the version that inspired this one. 😉 I think that either one is terrific though and I hope you’ll enjoy the refined sugar-free version. When subbing maple syrup for honey, I usually use slightly less because honey is usually thicker in my experience and subbing one for one can result in a pie that won’t set up. 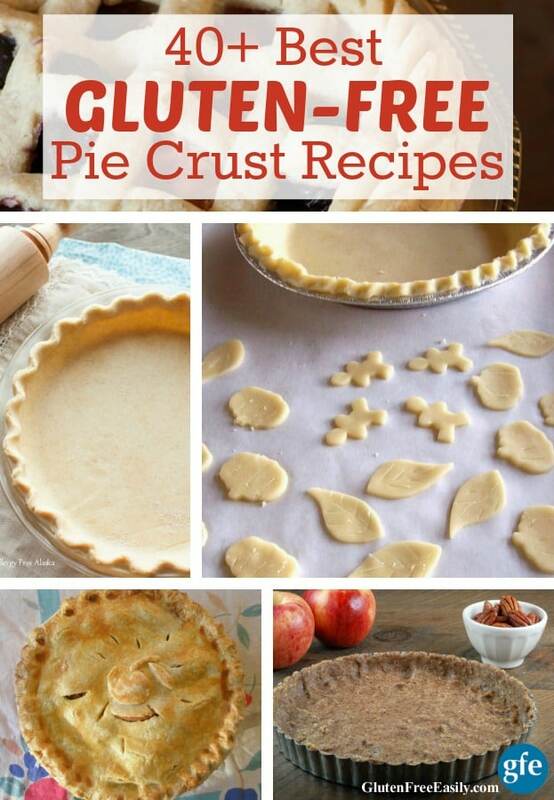 I looked up your pie crust . It and all your pies look delicious! I do see it’s a traditional roll-out crust, which I usually try to avoid. LOL but true. I’ll let you know when I give it a go. I do see that you can use tapioca starch vs arrowroot, which is probably what I’ll do as I usually prefer that and keep it on hand. Oh, yes, pies (and pretty much any baking effort) require “help”! Nancy–Sometimes our minds get ahead of us. 😉 Not only does pumpkin have more water content, sweet potato is naturally sweeter than pumpkin. Many of us wouldn’t eat cooked pumpkin “as is” but a lot of us would eat cooked sweet potato without anything added. 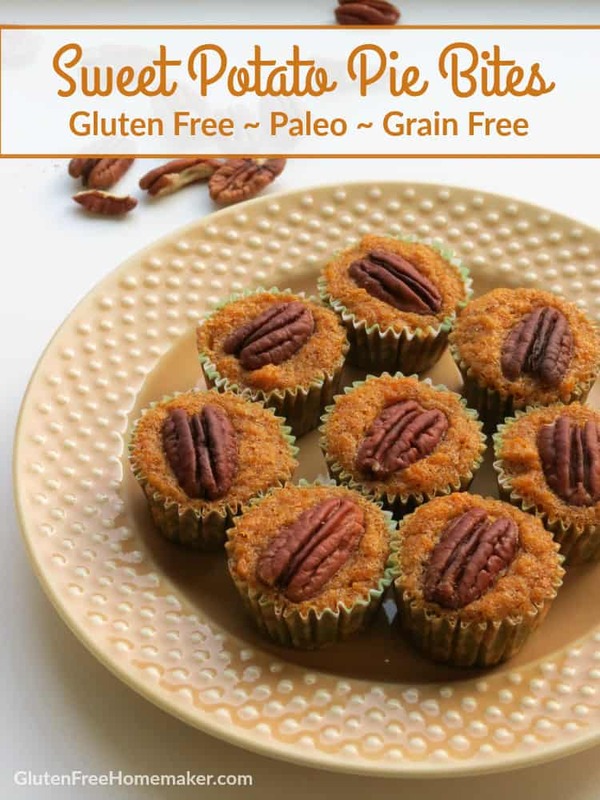 Because you eat less sweet refined sugar-free recipes, you might find that you need less maple syrup/coconut sugar than you think in this recipe! Good for you on already cooking and freezing fresh pumpkin puree! Canned pumpkin will never compare to fresh pumpkin, even after it’s been frozen. 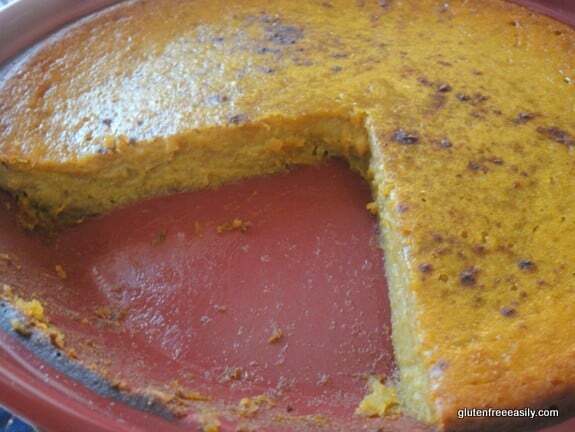 I love introducing folks to pumpkin pie made with fresh pumpkin. 🙂 And the pie pumpkins around here don’t even last that long! I have two pie pumpkins myself that I need to cook in the next day or two. Shirley, My first Paleo press-in crust experiment turned out pretty darn good, just need to tweak it a bit more (50/50 almond flour and arrowroot, with palm shortening and egg and yes only 1/4 tsp, salt). Problem is I now have a single pie crust cooked and looking for a filling! My husband has been asking for a coconut cream pie for ages, so I might play around with that idea. Far from the sweet potato/pecan but I don’t have those ingredients on hand at the moment. Thanks for the suggestions. Happy to hear that, Nancy! The proof will be in a slice of pie though–whether the slice can be picked up or removed from the pie plate with a spatula, etc. after the crust has been filled. I have never actually baked the press-in crust without a filling before. Did you have to add foil and beans or pie weights to blind bake it? I’m wondering if it puffed up in places or if you prevented that by poking holes in it with a fork. I’m also concerned that your crust might be more likely to “over bake” once you fill it since you’ve already baked it. Fingers crossed on all though! And coconut cream pie sure sounds good to me. That’s one of our family’s very favorite pies! Well, darn, Nancy. It sure sounds like that combination of ingredients would work. It probably would have worked fine if you’d added a tablespoon or two of sifted coconut flour. One way that my crustless pies (coconut and pumpkin versions) can be made is with 1/4 cup sifted coconut flour. So I’m thinking since you already have arrowroot in your ingredients, only one or two more tablespoons of coconut flour would be needed. Food for thought! That’s such great news, Nancy! I can’t wait to try your paleo version! You’re welcome, of course, Nancy!